Speedy the cheeky house bunny: Vote for Shiner!!! Hi everybody my pal Shiner from Pawsitively Pets has been entered into a video competition called May Day Play Day video competition hosted by Cat time And Dog time the top 5 videos will have a chance to win the Best Pet Video of 2013 Petties Award. To see the video and the link to cast your vote visit Pawsitively Pets!!!! Aw thank you so much Speedy and Rachel! Glad you guys made it home safely and that you had a good vacation. I decided to put the baby bunnies back into their nest this afternoon. Am going to be watching for the mom. 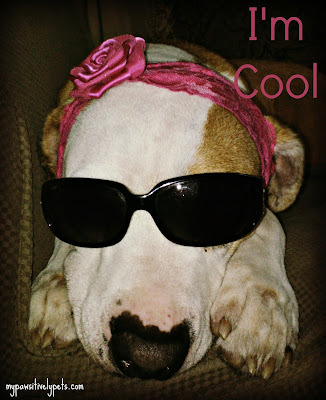 Shiner is so cool! Thanks for the reminder Speedy! Shiner IS cool! Great picture.